We would like to introduce you to our new farm staff member, Stephanie Beckner. Stephanie has lived in the Oxford area for the past 17years. She is married and has three children. She and her family own and run Jerricho Run Farms located between Oxford and Somerville, just up the road from Miami’s farm. 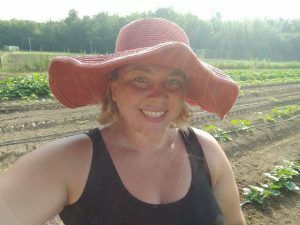 Stephanie is a seasoned organic farmer who is committed to supporting sustainable food systems and sharing her knowledge about farming. We are thrilled to have her join our farm team. Peggy has also provided us with her personal recipe for pickled beets. Clean and put beets in boiling water for around 15 minutes (just enough to remove skins). Place in very cold water and the skin is easily removed. Slice or cut in quarter inches. Cut up onions into quarter inches as well. Put vinegar, salt, water, sugar in a non-reactive pan and bring to a boil. Put the cinnamon sticks and cloves in cheese cloth and tie. Also add this to vinegar mixture. Add the rest of the ingredients and simmer 5 to 10 minuets. Add the hot beets to hot sterilized canning jars. Be sure to strain the beets with a slotted spoon as to get the jars full and then add the liquid from the beet mixture leaving 1/4 inch of head room. Try to make sure all air bubbles are out. Be sure to wipe the top of the jars with a clean cloth or paper towel so the lids will seal correctly. Filled jars should be put in a boiling water (canner) and water should be no more than one to one and a half inches over the jars. Process pints for 30 minuets. 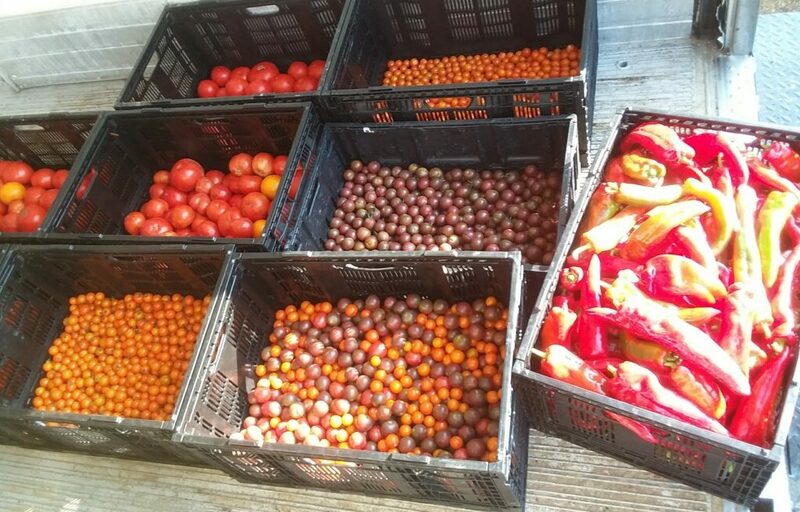 Aisha has given us the following recipes for fresh salsa and roasted peppers to take advantage of this week’s produce. Place jalapenos in a saucepan with enough water to cover. Bring to a boil. Simmer until jalapenos soften and begin to lose their shine, about 10 to 12 minutes. Remove the jalapenos with a slotted spoon, chop off the stem, and place them in a blender. Add the tomatoes and boil for 2 to 3 minutes to loosen the skin. Peel the skin from the tomatoes and add tomatoes to the blender. Place the onion, cilantro, garlic, lime juice, salt, and black pepper in the blender with the jalapenos and tomatoes. Blend to desired consistency. Prepare the peppers and set aside. In a large skillet, heat the olive oil over medium heat. Add all of the peppers all at once. 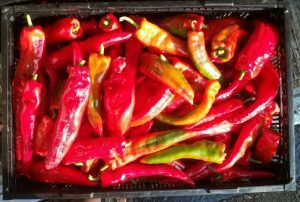 Sauté the peppers, stirring and turning frequently, until the pepper skins start to blister and turn brown in spots. Add the water, Italian seasoning, salt, and pepper. Cover the pan and cook for 1 minute so the peppers steam. Uncover the pan, stir the peppers for 1 minute longer, then serve immediately.